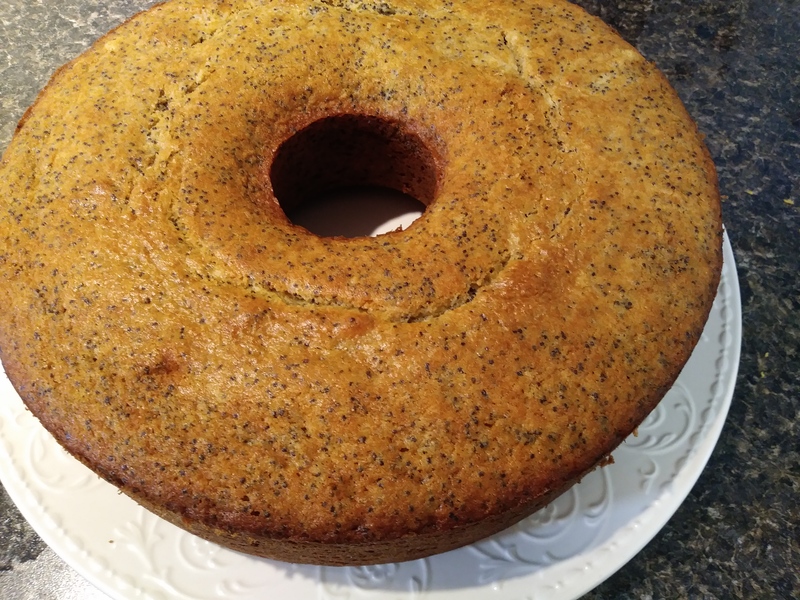 This is a lemon poppy seed cake with emphasis on the poppy seeds. 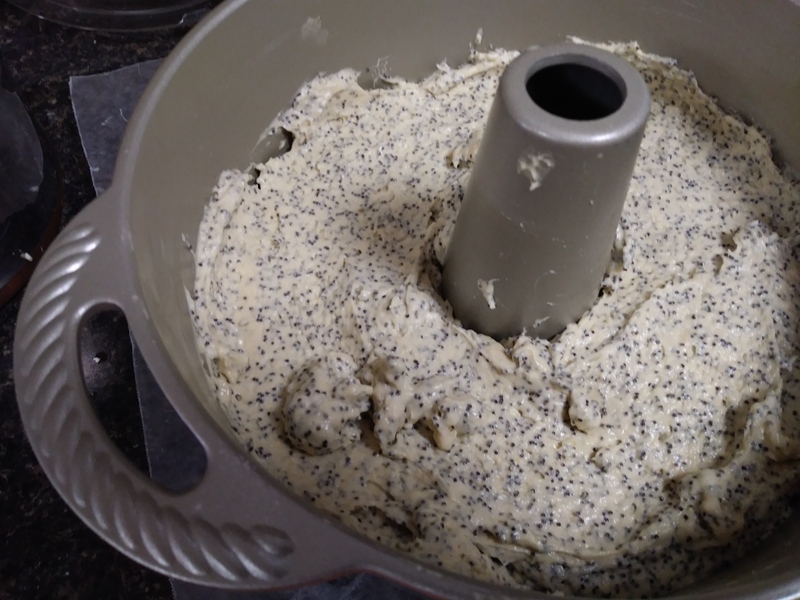 It’s practically health food because poppy seeds are high in dietary fiber and minerals. With three eggs, plus the additional nutrition from all those seeds, this cake is solidly in the ‘okay for breakfast’ category! I found this recipe in one of my favorite vegetarian cookbooks, The New Moosewood Cookbook by Mollie Katzen. I love her handwritten recipes, doodles and drawings. The recipes are delicious and healthy without sacrificing richness and flavor. 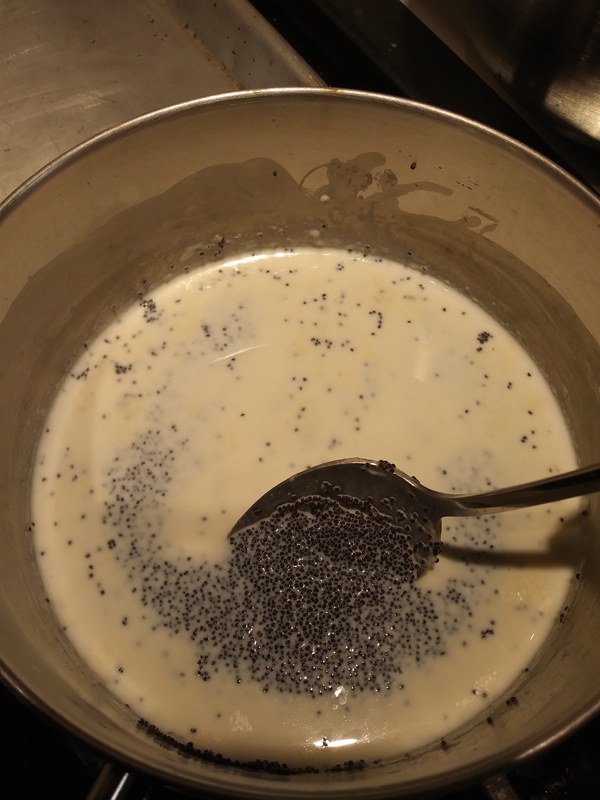 Place poppy seeds and milk in a small saucepan and scald (heat to almost boiling, then remove from the heat). Set aside and allow to cool for at least 15 minutes. Preheat oven to 350 degrees and butter a 10 inch tube pan. Cream the butter and sugar until light and fluffy. Add the eggs one at a time, beating well after each addition. Sift together the dry ingredients on wax paper or in a separate bowl. 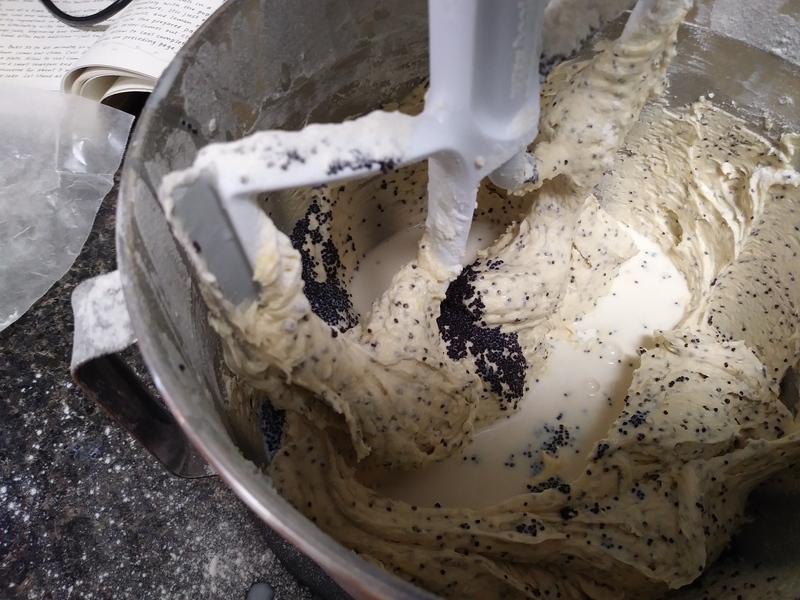 Add this to the butter mixture alternately with the poppy seed – milk, beginning and ending with the dry mixture. Stir just enough to blend well, adding the vanilla, lemon juice and zest at the end. Bake for about 40 minutes or until a toothpick inserted in the center comes out clean. Cool for 10 minutes in the pan, then invert onto a plate. 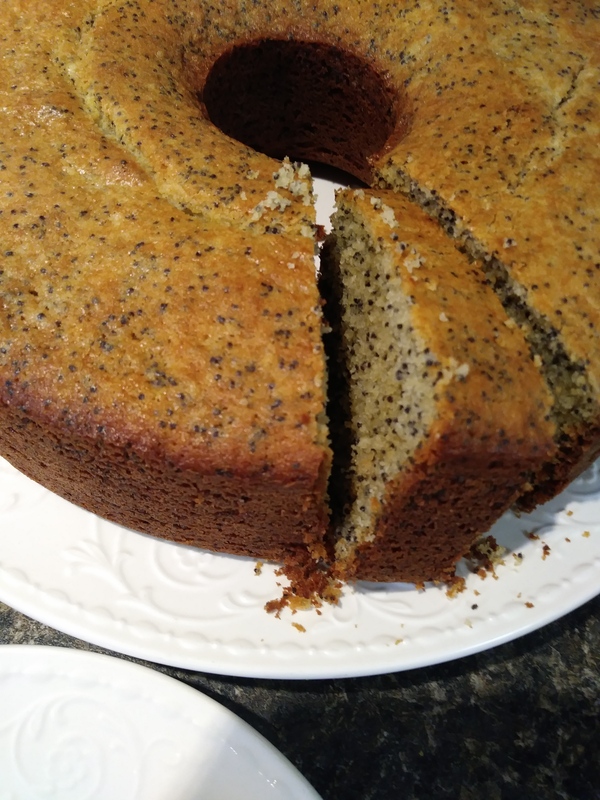 This cake has so many poppy seeds that it’s almost nutty tasting. It’s a little different from your average lemon poppy seed muffin or cake, but still very familiar in flavor. I love that it’s not super sweet, I also love the crunch of the seeds and the little hint of lemon flavor. If you want more sweetness, you can add a simple glaze of lemon or orange juice mixed with powdered sugar.